Everyone has setbacks. Even the best laid plans can end up in ruins, but that does not mean it has to ruin your self-esteem. Disappointments are opportunities to repair, re-group and restart. Learning how to maintain a consistent level of confidence will help you be able to bounce back quickly when things don’t go as planned. 1. Practice your strengths. Not knowing your strengths is one of the main indicators of women with low self-esteem. Everyone has something they are good at. If you are having a low confidence day, find time to indulge in those things you excel at. Spend time discovering and appreciating the natural talents you have. Be creative — there are many types of talents. If you have a gift for encouraging others, send out an email of encouragement to a few friends. If you excel at baking, cook one of your culinary delicacies to take to your co-workers. Allow your strengths to show you just how much you have to offer others. 2. Visualize yourself succeeding. What you think about yourself matters. If you dwell on your past failures they will begin a boomerang affect, daily resurfacing to haunt you. Imperfections are common to us all. No one always succeeds at everything. When you allow fear to prevent you from starting, the fear wins. Visualize yourself getting out of your comfort zone and doing those things you feel insecure about. See yourself getting beyond your place of weakness and succeeding. Allow your mind to open wide to receive the possibility that your weaknesses can be strengthened to a place of personal success. 3. Dress for success. How you look on the outside affects how you feel on the inside. If you are feeling down, have a few special outfits in your closet that bring a smile to your face. It may be a blouse with a bold print or a pair of skinny jeans. For some it may be 4 inch stilettos and for others it could be a simple business suit, but this confidence-building attire should be something that accentuates all of your positive physical attributes — not something that makes you criticize your body. Every woman should have a go-to outfit that looks good on her at any weight. These are the ones you wear when you need that extra boost of confidence, like to a job interview or on a date. 4. Let go of perfectionism. Confidence is a mental state of being. It is the assurance that you matter and the belief that you are not defined by your weaknesses or failures. Perfectionism is the enemy of confidence. When perfection is the goal, you often set yourself up for disappointment. Let go of the elusive pretense of perfection and embrace your own level of personal success. Learn how to forgive yourself, love yourself, and affirm yourself. Boosting your confidence requires spending time learning who you are and what you are capable of doing, accepting your unique qualities for the gifts that they are and forgiving yourself for being imperfect. Being confident is not the same as being conceited. Unlike conceit, self-confidence is independent of unhealthy comparisons with others. When someone is confident in who they are she can celebrate the success of others without feelings of envy. A confident woman is one who is secure in her own self-worth. 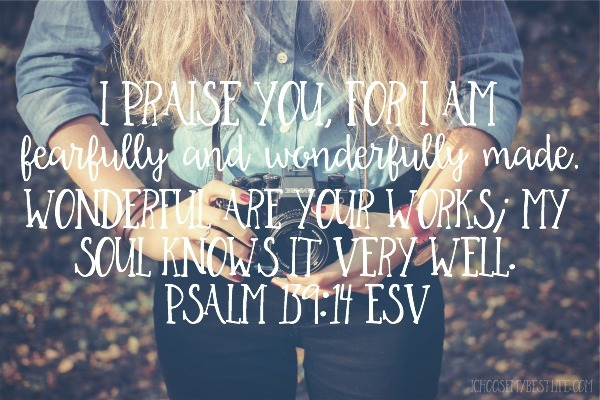 Wonderful words of encouragement that we all need to be reminded of and to practice. I especially like the part about practicing our strengths. The body doesn’t need five hands or five feet..we each have our parts,our strengths, our talents. How much better to be well prepared, functional, and confident with our God-given resources and talents. I have enjoyed your books. I, too, am a clinician and have found them wonderful resources in both patient interaction and in my small bible study group. (It sounds like your patients are my patients!) 🙂 SO many sheep without a shepherd. Blessings. Thank you Deb! It’s so wonderful to hear of other clinician using my books to bless their patients. I feel like there is never enough time to do all I want to do during an office visit and it’s nice to have a way to “shepherd” those who need a little more than your typical doctors appointment. Keep shining for Christ on the healthcare mission field! Saundra, thanks for sharing this article. 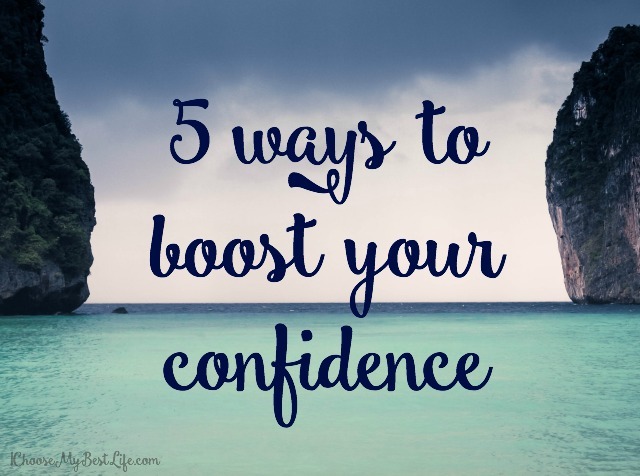 It includes great reminders of how we can build our self-confidence. All of the points you brought out are helpful. So many times we are our own worse critics and compare ourselves to others instead of looking at our strengths and celebrating them. Thanks for your comments Deborah! The moment we each realize how very special we are to God is when the people of God will move out into every sphere of the earth with the authority Christ has given us. I’ve never seen a timid lion or lioness. Praying we each can be bold followers of Christ ready to share the good news with everyone in need of a little hope. Blessings to you Deborah and keep helping us dive deep into God’s work on your blog! Thanks for the encouragement Rebekah! Glad you found the post helpful. Great post! That last affirmation really hit home for me-“My presence is required, so I will live in the moment.” My head is usually several steps ahead and I miss out on the opportunities in the moment. I 100% get you Dee and struggle with that myself. We multitaskers often spend most of our life looking at 1-2 step ahead. There is certainly a lot of joy to be found enjoying the moments. Thanks for dropping by and commenting! Feeling the #SheSpeaks15 love Sarah! Looking forward to putting to use we learned during that weekend. Powerful seeing God move in the lives of so many! I am taping these 5 ways to my bathroom mirror so I can pray over them in my life every morning. Thanks Saundra! Awesome idea Joan! Thanks for sharing it. Great reminders for cultivating confidence! I like #4 the best! Let go of perfectionism! Difficult to do but such a great piece of advice! Let. It. Go! I love this! Especially Numbers 3 & 4. Thanks for sharing! After having three babies, I got into a real “fashion funk.” And I was amazed at how it affected my moods. After doing a style challenge to pull myself out of it, I am a new woman. Getting dressed in the mornings and taking some pride in my appearance really does set a better tone for the day. And imperfection? That one has been harder for me to embrace, but I’m getting better. That’s what kids do to you!